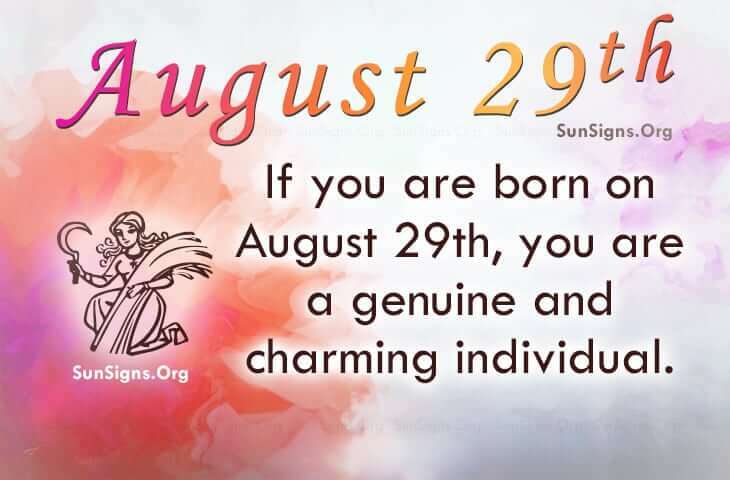 Famous people born on August 29 belong to the Virgo zodiac sign. They can be an emotional creature. Apparently they get upset over things they shouldn’t. They should realize that life is not always going to go smoothly and deal with the punches. Famous celebrities with a birthday on August 29 have the gift of gab. They can carry on a conversation by themselves. That’s how much they like to talk. It’s just good that they are funny and have some interesting things to talk about. Famous people born on August 29 don’t have many friends which is surprising. However their friends have been around for a long time. They know them pretty well. Mainly, they get along so well because they share the same dreams and like the same things. As a career, they look for a profession that will provide them the opportunity to grow and make a comfortable living. Security is a big thing with them as they are likely the provider for their family. They are willing to do what they have to in order to put food on the table especially if times get hard. Famous people born on August 29th follow their gut. This is a gift that most Virgins don’t utilize as well as them. They are strong and very talkative. However, people admire them and they like making conversations fun. They are a genuine and charming individuals who may have trouble finding love.